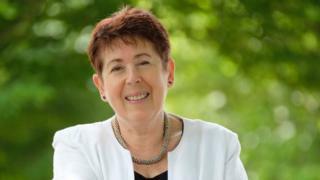 The head of digital technology industry body ScotlandIS has announced that she will retire later this year. Polly Purvis has been chief executive of the organisation for six years, having joined at its inception in 2000. ScotlandIS said Ms Purvis would remain in post until a new chief is appointed in order to ensure "an orderly transition". She will officially hand over the reins at the annual tech conference ScotSoft later this year. During her time in office, Ms Purvis spearheaded the formation of digital skills academy CodeClan, which is now producing more than 400 technically skilled graduates a year in Edinburgh, Glasgow and a new campus in Inverness. She also championed the formation of the Digital Xtra Fund, a charity which aims to help all young people across Scotland benefit from hands-on experience of computer science, coding and digital making regardless of geography or economic background. In 2017, she received an OBE for services to the Scottish digital technologies industry, and the following year won a lifetime achievement award at the Scottish Women in Technology Awards. Ms Purvis said: "We have a fabulous membership full of interesting, innovative and growing technology businesses who build and deliver high quality goods and services. "So it's a good time to hand on to someone who can bring fresh passion and a belief that technology can be a real force for good, and who can help develop the potential of the digital technologies industry as a major force in the new economy being built in Scotland."